Try these free wordpress plugins to speed up WordPress sites page load time under 2 seconds. No matter what host you use and without using a CDN. No paid Services. Free Plugins to Speed Up Your WordPress Website for faster page load time and SEO that actually work and they’re easy to use. 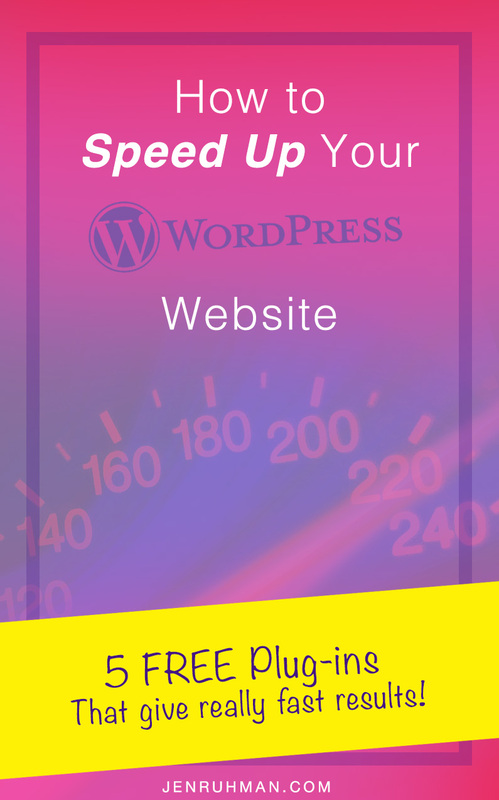 This is the quickest method how to speed up your wordpress blog using free WP plug-ins. This will only take you under ten minutes and you will see improvements in speed of your wordpress website. First of all, congrats on making an effort to fix your slow website. There’s so many slow websites out there that drive people crazy. If your blog is using the WordPress platform, it’s not uncommon to experience a gradual slow down in page load time and responsiveness. The bigger your website becomes and your bad habit of constantly installing new plug-ins, WordPress can get cray sluggish. I’m going to let you in on a dirty little WordPress secret… the more WordPress plug-ins your site has, the slower it loads. Shhhh! Before we install these necessary plug-ins that will make your site faster, you need to do some spring cleaning in there. Remove as many plug-ins that you don’t need. Drink some coffee and try to deal with that statement, maybe go for a walk. I know it can be sad removing plug-ins that you think make your blog cool, but people visit your website to read your sass and become dazzled by your images, possibly learn something..hello?!. The types of plug-ins that slow down your site are usually: Jetpack, and most related content plug-ins. Delete them if you can handle it. Don’t be a wimp. Now that we’ve stripped down and cleaned up your slow dirty website, now we can place the right plug-ins and get to action. Install these now. There’s lots of posts that claim to speed up your WordPress website, however you only need to install these four to see a big difference. Remember, overall the less plug-ins you have, the faster your page load time. Thanks for reading more about Free plugins to speed up your WordPress website. Have you ever cursed at a slow loading website? I have. Let me know your frustrations in the comments below so I don’t feel weird.